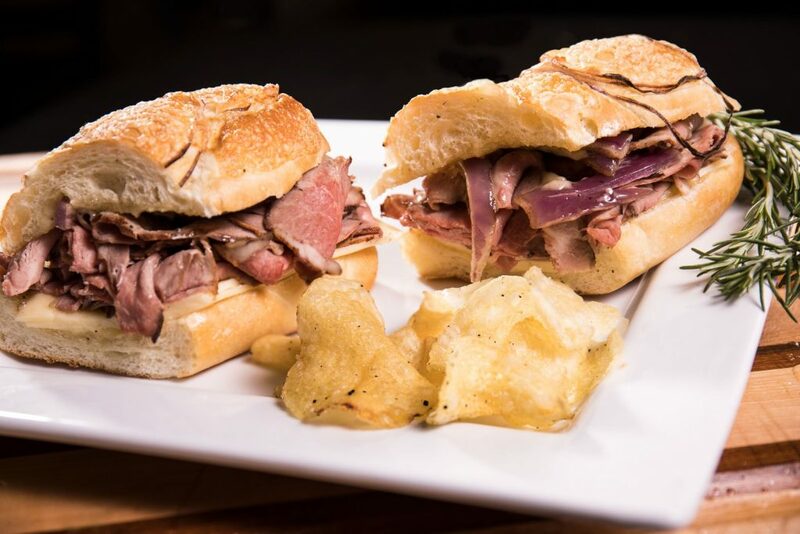 We make classic sandwiches with a twist. And that twist is fresh, local, made from scratch ingredients. 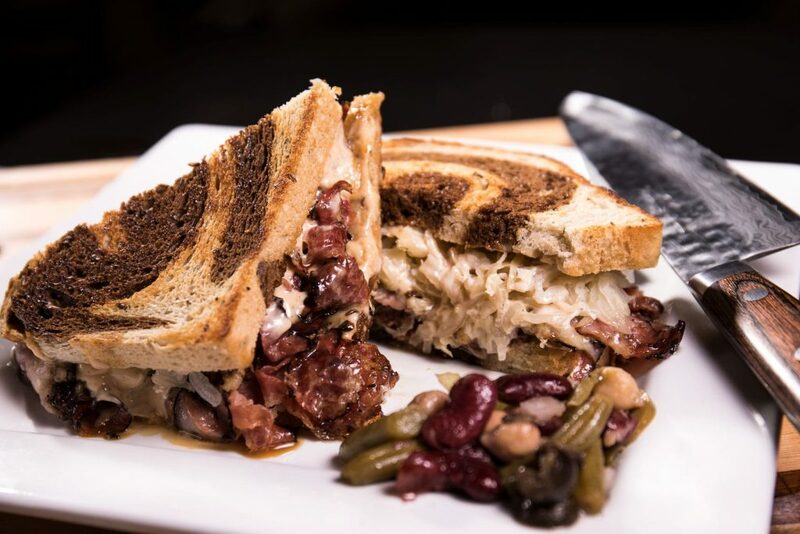 Over our years of family recipes, holiday meals, and running Yosh’s Deli, we’ve noticed the difference. 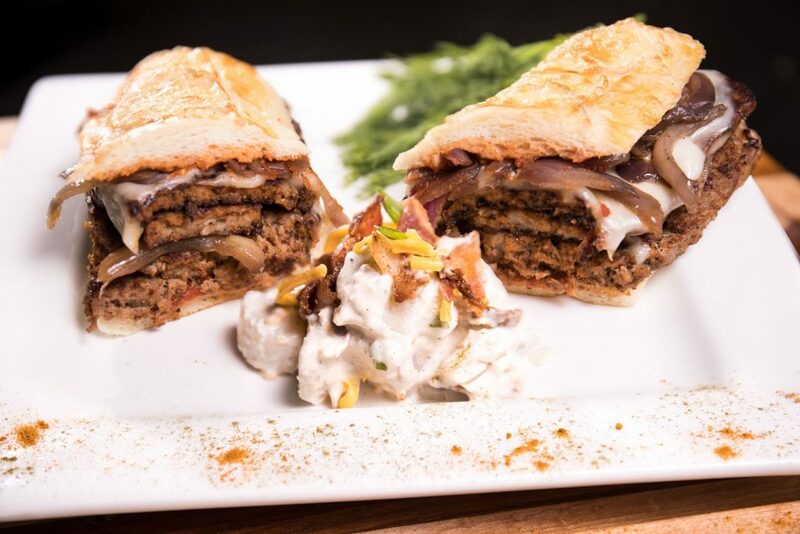 When you take the time to make your food with quality ingredients it makes a huge difference. 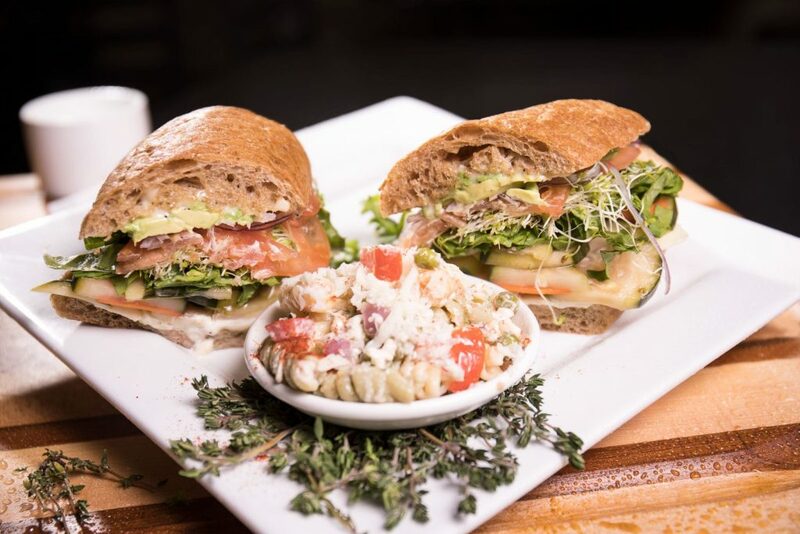 So, we wanted to make sure you could get a delicious sandwich made with loved that tasted home-cooked. Mesquite smoked tri-tip, grilled onions, aioli and creamy harvarti cheese. 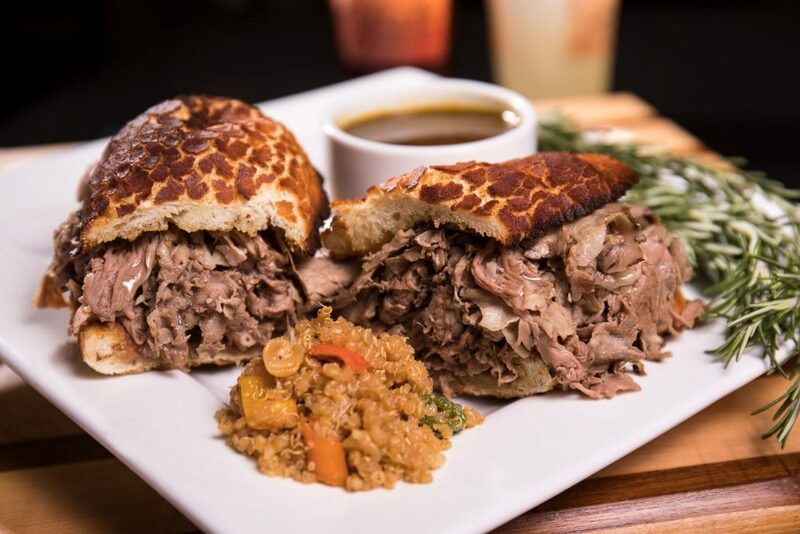 Thinly sliced house roasted beef dipped in au jus. Aioli toasted roll. Served with a side of au jus. 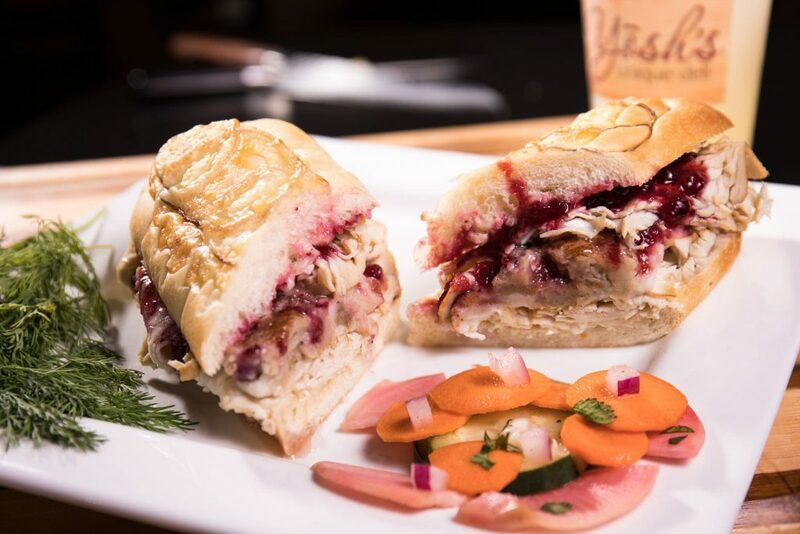 Roasted turkey, stuffing, mashed potatoes, and aioli. You may add lingonberries. 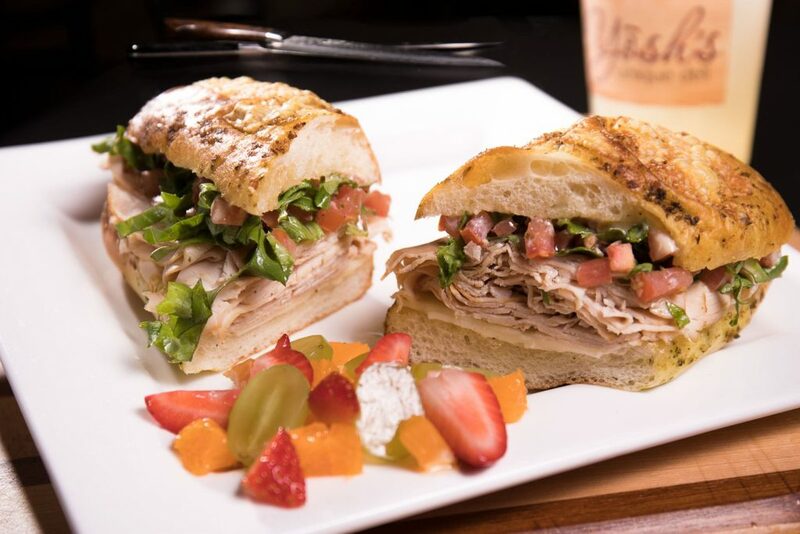 Roasted turkey, prosiciutto, aioli, tomato bruschetta, lettuce, and provolone cheese. Hot Pastrami, fresh sauerkraut, homemade Russian dressing and swiss cheese. Served on marble rye. Cucumber salad, aioli, avocado, lettuce, tomato, onion, sprouts, pepper jack cheese, and oil and vinegar. Homemade meatloaf topped with grilled onions, provolone cheese, and tomato gravy. You can also add mashed potatoes. 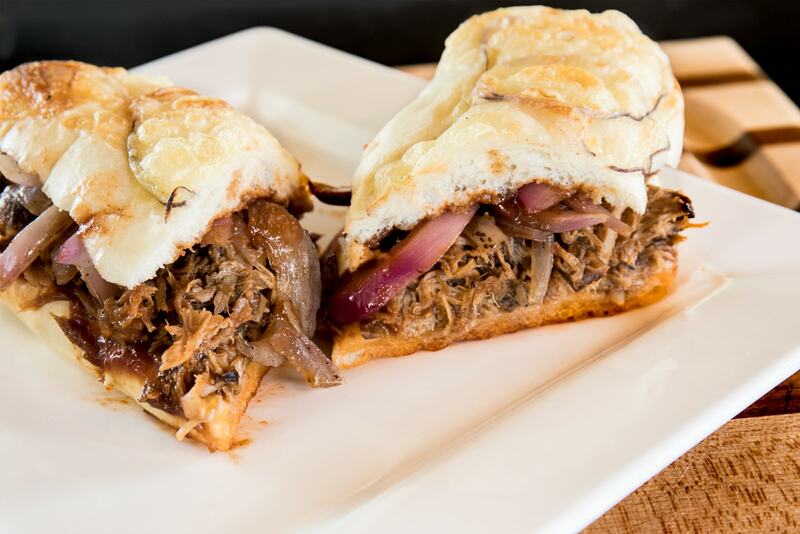 16 hour smoked hickory pork, grilled onions, and house barbecue sauce. Optional Citrus Slaw. 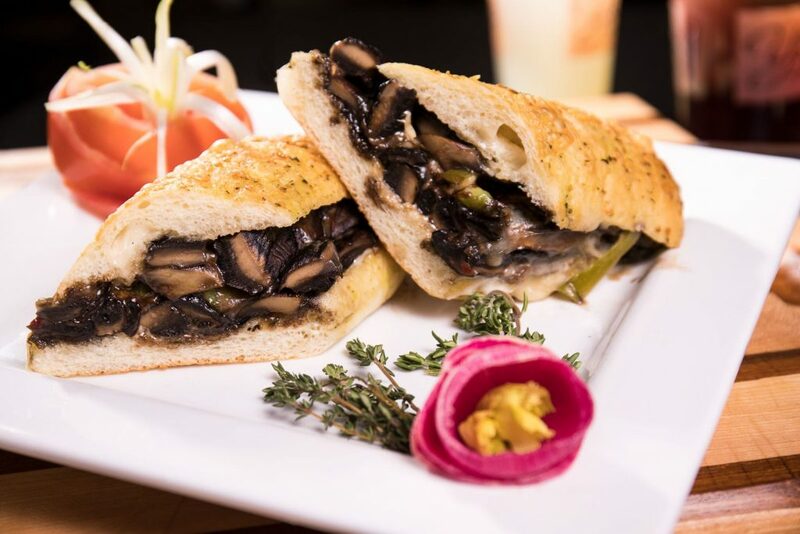 Grilled portabella mushrooms and Anaheim peppers, aioli, pepper jack cheese, and balsamic reduction sauce.